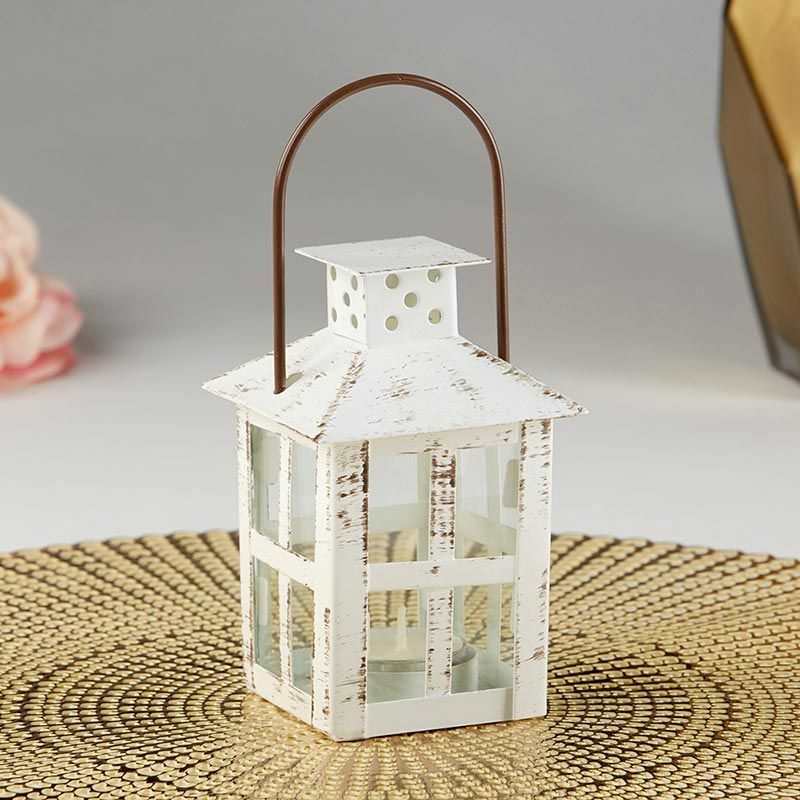 Crisp white and with all the right distressed spots to create that perfect rustic decor look, Kate Aspen's Small Vintage White Distressed Lantern is a beautiful addition to your wedding or special event. 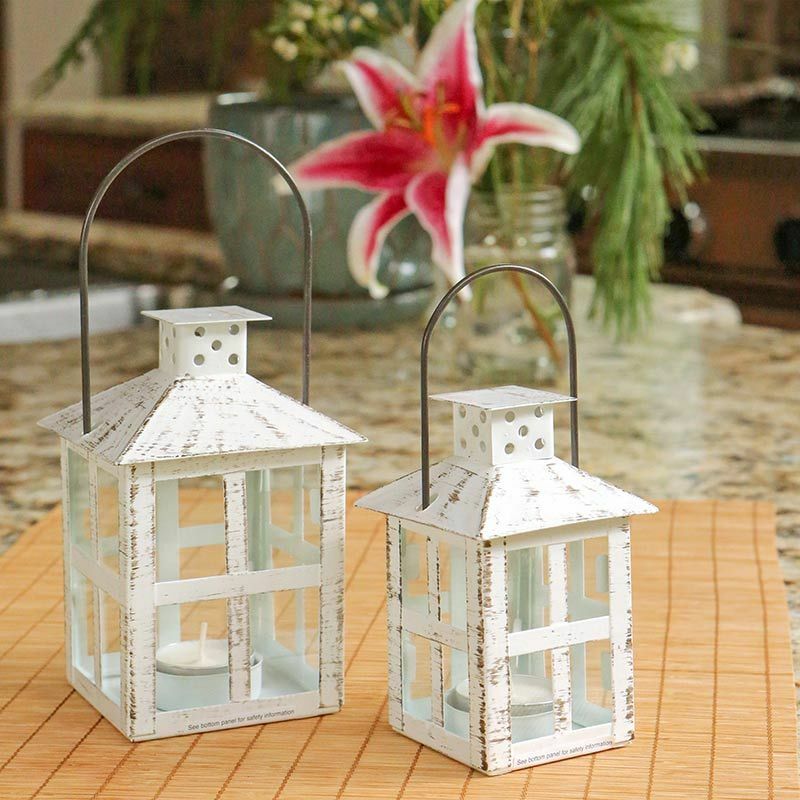 Place miniature lanterns on the buffet table or the bar, and you'll have a great statement piece! 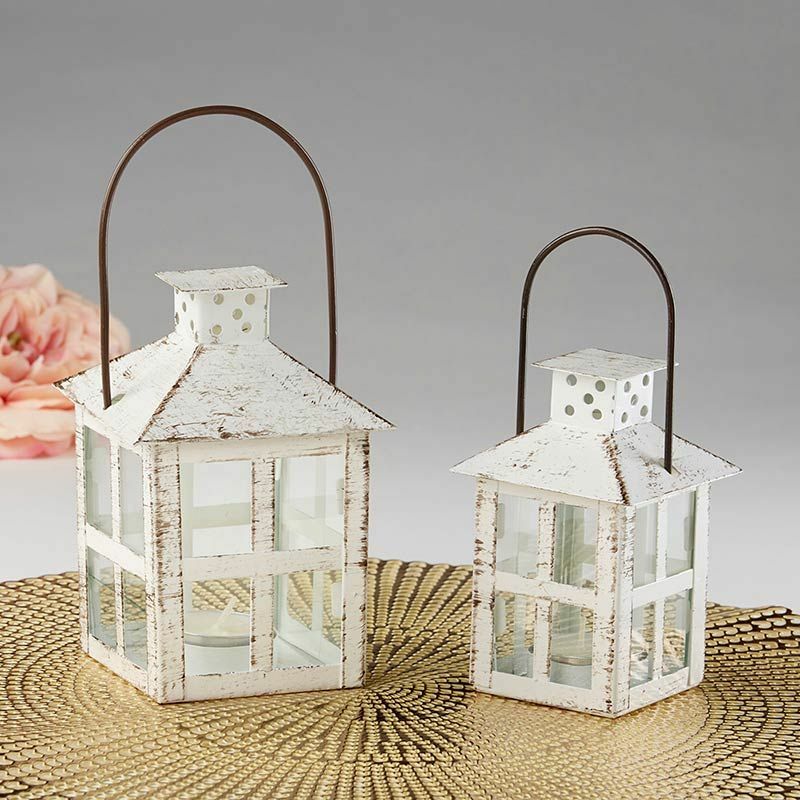 Medium Vintage White Distressed Lantern also available. 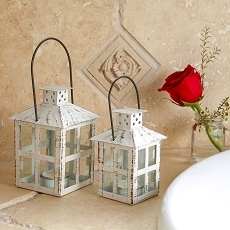 White metal lantern with vintage distressed details; glass windows and metal wire swing handle. Packaged product measures 3.6" w x 5" h x 3.6" d.